The Federal Reserve did it — raised the target federal funds rate a quarter point, its first boost in nearly a decade. That does not, however, mean that the average rate on the 30-year fixed mortgage will be a quarter point higher when we all wake up on Thursday. That’s not how mortgage rates work. 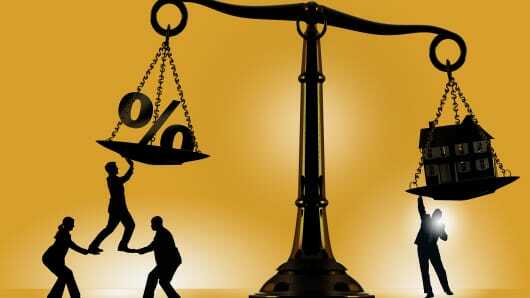 Mortgage rates follow the yields on mortgage-backed securities. These bonds track the yield on the U.S. 10-year Treasury. The bond market is still sorting itself out right now, and yields could end up higher or lower by the end of the week. 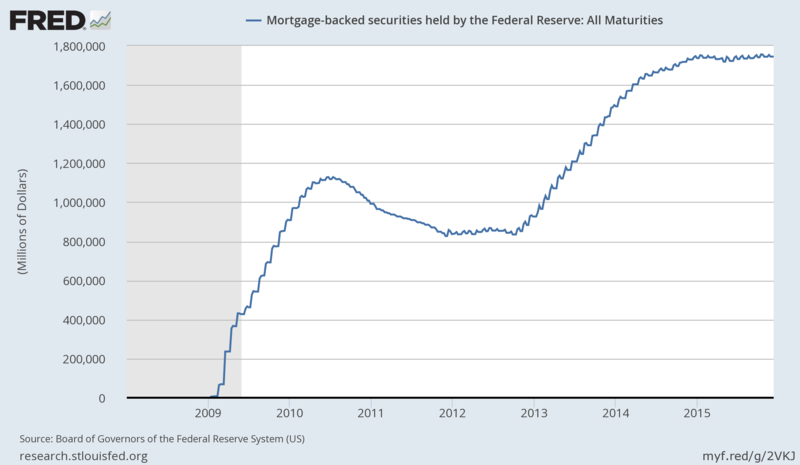 When U.S. financial markets crashed in 2008, the Federal Reserve began buying billions of dollars worth of agency mortgage-backed securities (loans backed by Fannie Mae, Freddie Mac and Ginnie Mae). As part of the so-called “taper” in 2013, it gradually stopped using new money to buy MBS but continued to reinvest money it made from the bonds it had into more, newer bonds. At some point, the Fed will have to stop that and let the private market back into mortgage land, but so far that hasn’t happened. Mortgage finance reform is basically on the back-burner until we get a new president and a new Congress. As long as the Fed is the mortgage market’s sugar daddy, rates won’t move much higher. The current rate of 4 percent on the 30-year fixed is less than 1 percentage point higher than its record low. Fun fact, in the early 1980s, the rate was around 18 percent. This entry was posted in Banking, Bonds, Economy, Housing, Housing Market, Real Estate and tagged interest rates, mortgage, mortgage interest rates on December 16, 2015 by Bone Fish.